Park Orchards yoga students, we welcome you. We are inviting Park Orchards residents to join our yoga community. 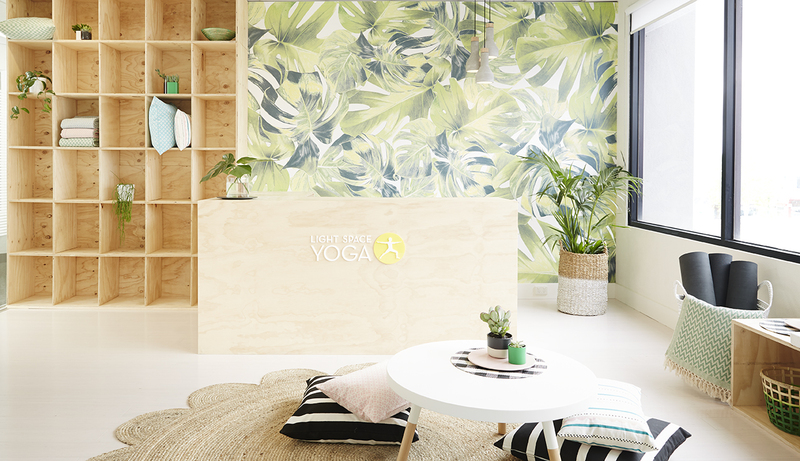 Our new yoga studio in Mitcham is a light-filled space, built to feel like a home away from home with bespoke plywood furniture, white bamboo floorboards and a calming ocean wallpaper mural. It’s the perfect space to get lost in your yoga practice. All classes are 60 minutes. No bookings required. Arrive 10 minutes early. A yoga studio only 8 minutes from Park Orchards. The best way to get from Park Orchards to our Mitcham studio is straight down Park Road. If you live in Park Orchards and would like to join us, we invite you to sign up for our launch offer, $28 for 28 days of unlimited yoga. No matter what your level of experience, our teachers will guide you through your practice offering individual attention and plenty of support. We offer five different types of yoga – Vinyasa Flow, Slow Flow, Yin Yoga, our Basics Program, and the new Progressions class. You can choose from over 30 classes from Monday to Sunday. We’d love to see you at the Mitcham studio.